Show stopping necklace. 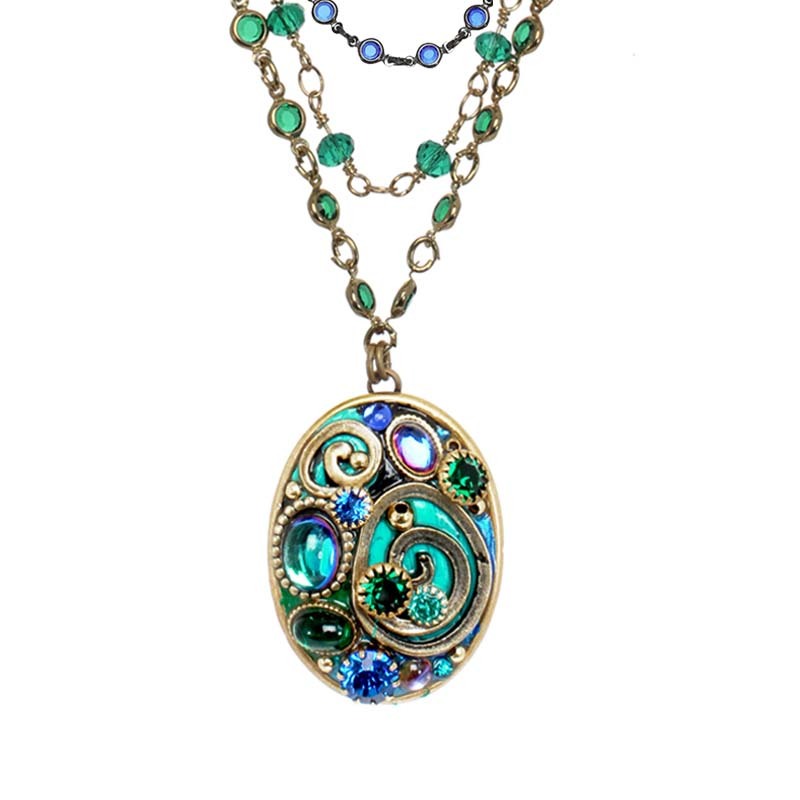 Golden oval pendant is a fusion of blues, greens and golden accents. 3 brilliant bejeweled chains drape beautifully across, framing the pendant and the face.